Henry Cavill News: The Durrell Challenge: VIP Perks! The Durrell Challenge is now less than two months away, but you still have time to sign up to join Henry in May! It’s really easy and simple to set up your own fundraising page by following this link - http://www.doitfordurrell.com/fundraising/ where you will find support and instructions. This is necessary to qualify as a Durrell Challenge 13k VIP entry. · Exclusive access to VIP reception. · Light lunch and drinks provided. · An opportunity to have a choice of a bespoke talk with three of our amazing team at Durrell. · Free entry to Jersey zoo on Saturday 11th May. Your package also includes a professional photo opportunity with Henry Cavill. We are excited to confirm that Henry will be providing a very special prize awarded to the entrant who raises the most funds for Durrell via JustGiving. Every donation helps Durrell's mission to protect wildlife and save species from extinction, so it's a win win if you ask us! 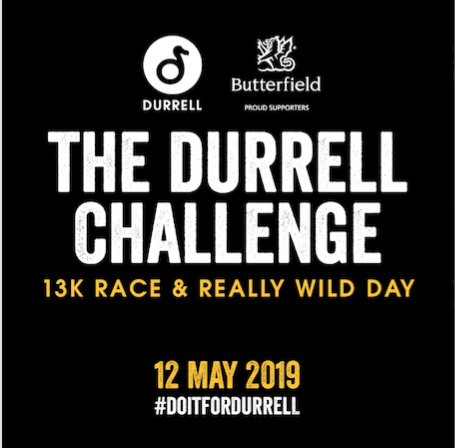 For those of you who can't make it to Jersey, you can still donate to this incredible charity and help them reach their Durrell Challenge goal. Finally, we want to wish safe travels to Indigo the gorilla, as he moves to his new home in Belgium. He's part of Henry's adopted family at Jersey Zoo and we'll miss seeing his goofy antics. Godspeed, Indigo!